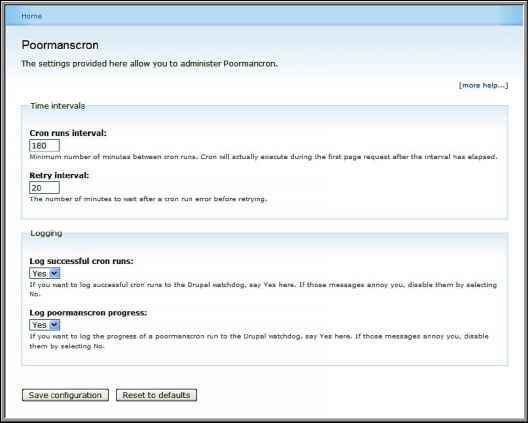 Firstly, we need to log in to our control panel (this is usually www.yourdomain.com/ cpanel), find the Databases section, and click the MySQL Database Wizard icon. The first stage is to enter a name for the new database. 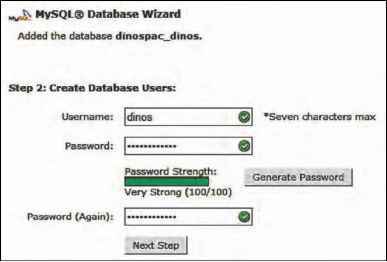 Normally, this is combined with the hosting accounts usernames, so the database name dinos would become dinospac_dinos. Once we have entered a name, we need to click Next Step, to move on to the next stage of the database wizard. Next, we need to create a MySQL user which will connect to the database server to access the database we have just created. It is important to use a secure password, we can use the Generate Password button to have cPanel automatically generate a secure password for us. Once we have done that, we need to click the Next Step button. Now that we have a database and a database user, we need to grant permissions for that user to be able to manage the database. Let's check the ALL PRIVILEGES checkbox and click the Next Step button again. We now have a database, and a Username and Password to connect to the database. The next stage is to import the database from our local installation to the database on our web hosting account.